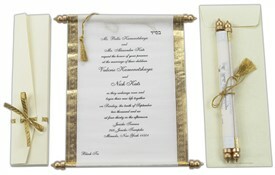 S421, White Color, Scroll Invitations, Jewish Invitations. 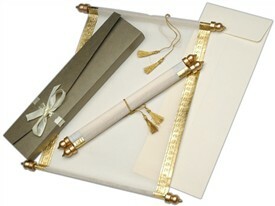 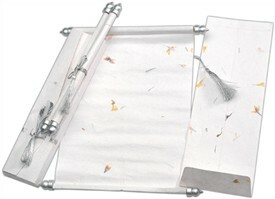 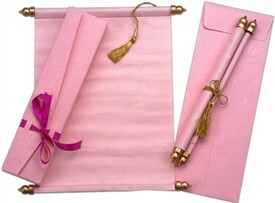 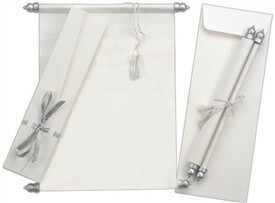 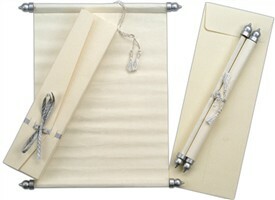 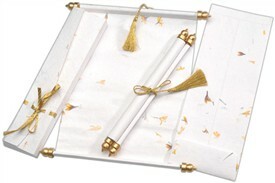 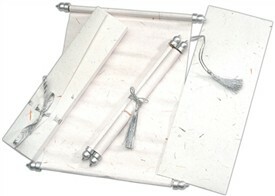 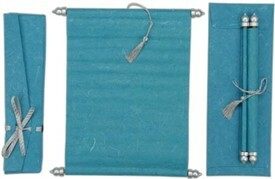 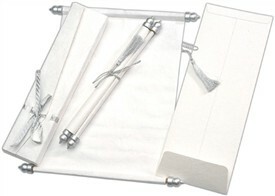 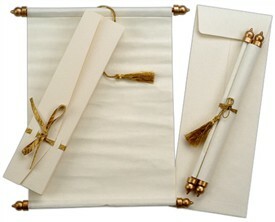 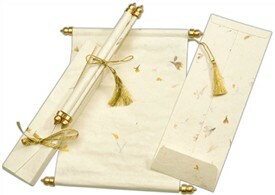 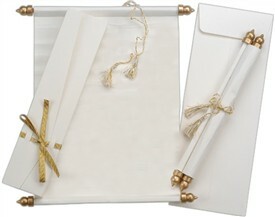 White translucent wooly paper with silver trim on both sides gives this scroll its simple yet elegant finish. 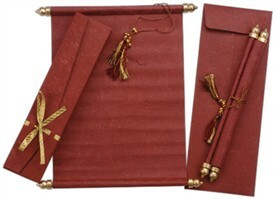 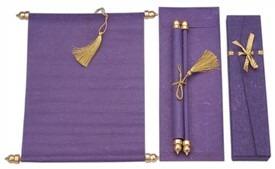 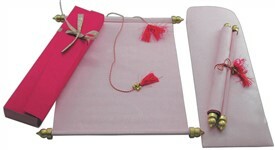 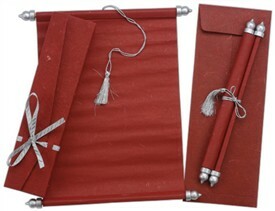 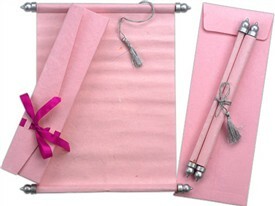 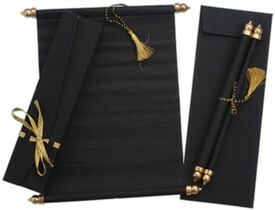 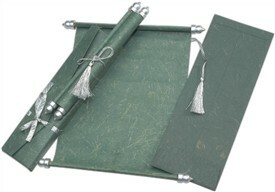 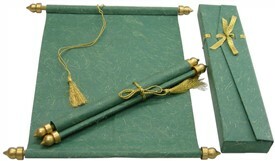 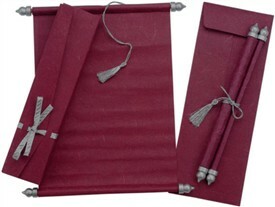 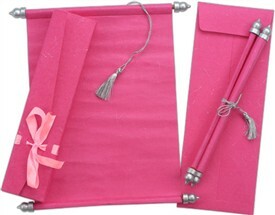 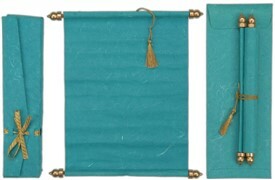 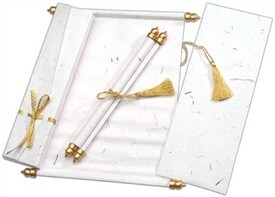 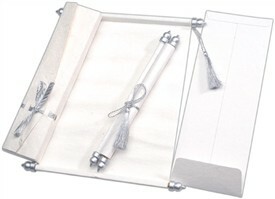 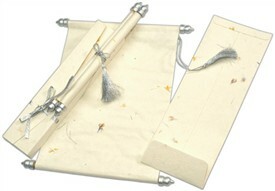 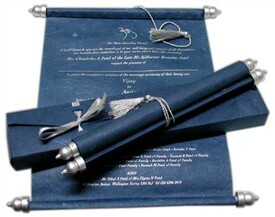 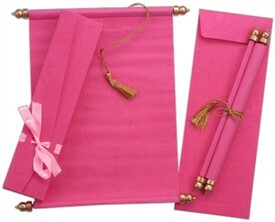 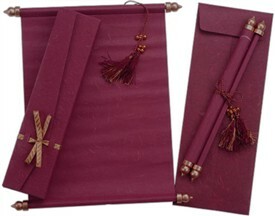 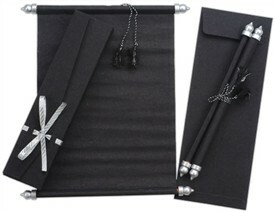 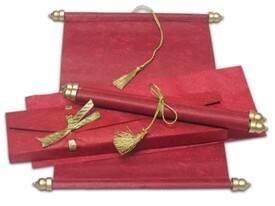 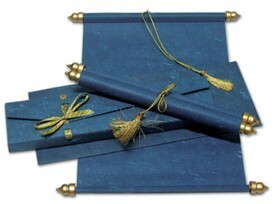 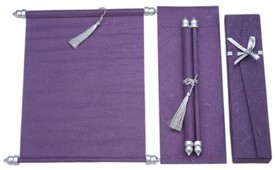 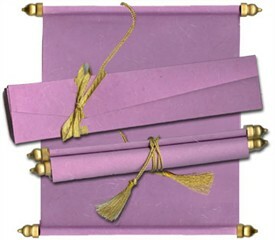 The scroll has Silver ends and is tied with silver tassel. 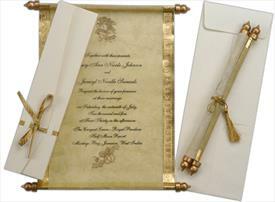 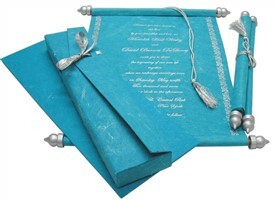 The box has a classy shimmery sheen, which adds to the overall beauty of the invitation. 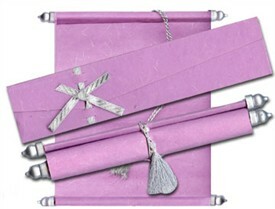 A classic beauty! 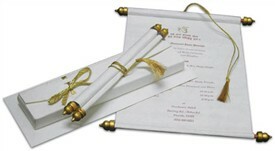 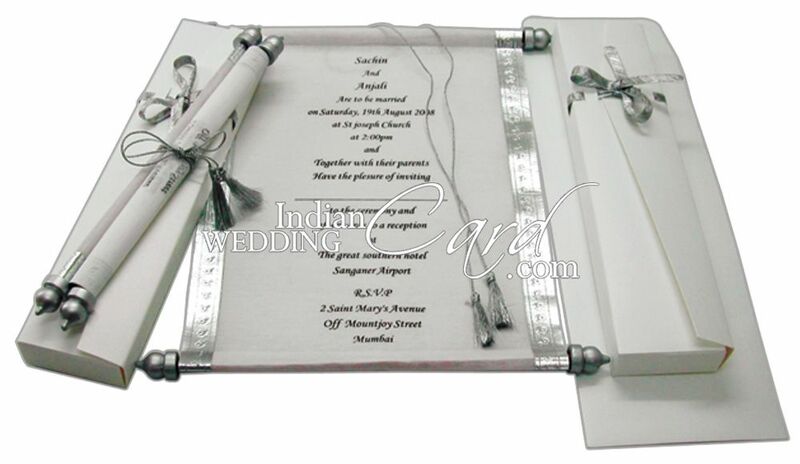 White color shimmery finish card stock for box; Translucent wooly paper for scroll (60gsm) with white mailing envelope (100gsm) Accessories: Silver dowels, tassel for scroll with silver ribbon for box.